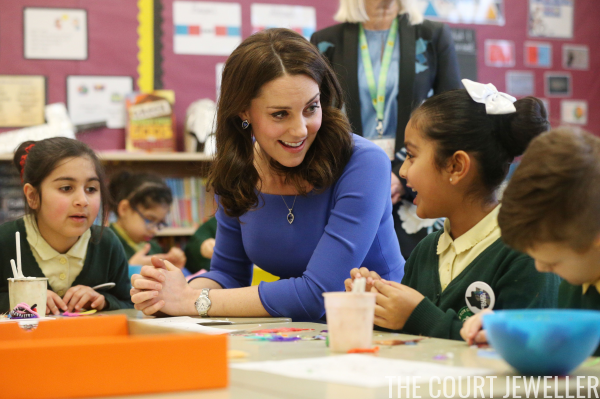 The Duchess of Cambridge visited Roe Green Junior School in Brent on Tuesday to launch a mental health program for schools, part of the Heads Together Initiative. Here's a look at the sparkling jewels she brought with her for the day. 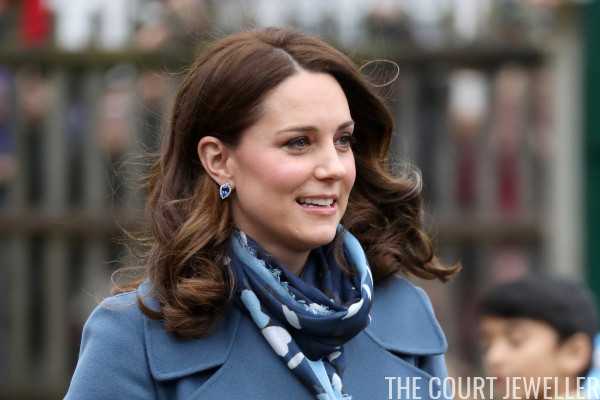 Kate selected one the prettiest pairs of earrings in her jewelry box, the pear-shaped diamond and tanzanite earrings from Collins and Sons, for the engagement. 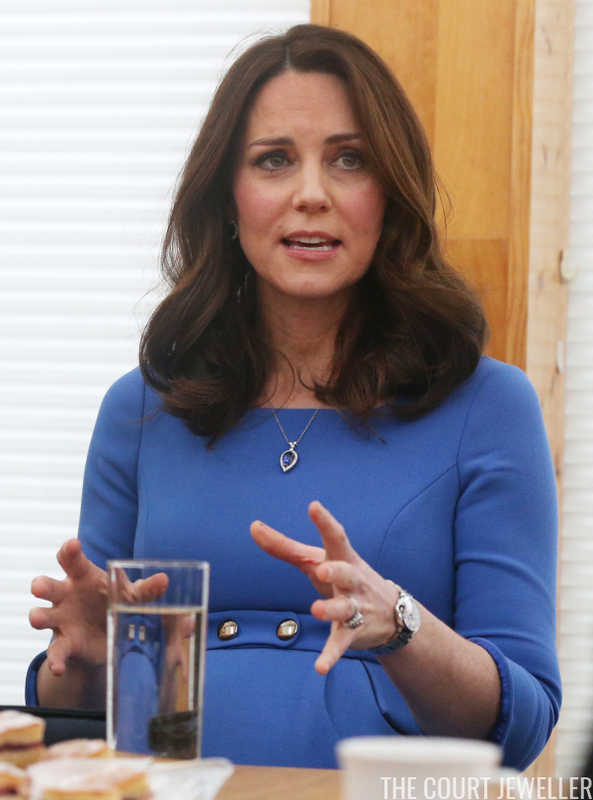 When she took off her coat and scarf, she revealed that she'd also worn the matching necklace from the suite. (You can read more about the jewels over here.) She also wore her Cartier watch and her usual trio of rings. 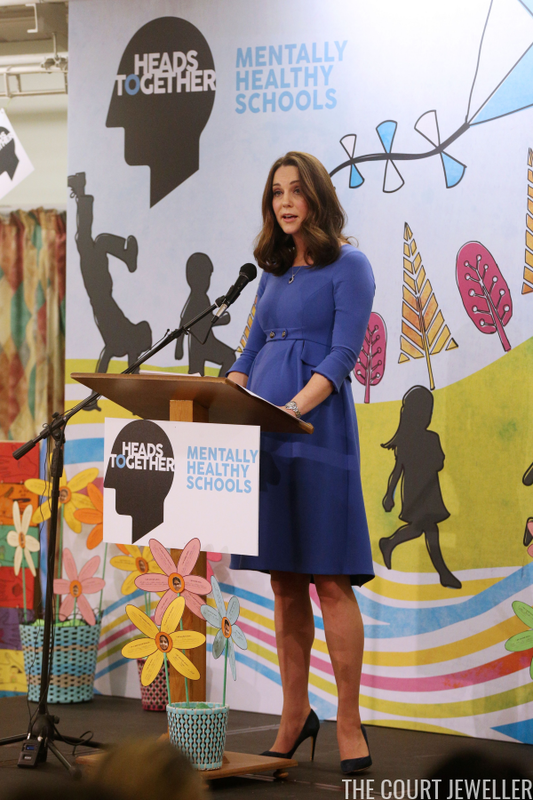 ...and without the coat, during the speech she made in support of mental health awareness and the Heads Together campaign.